The new G Pro Dry Herb Vaporizer 2017 version is an upgraded improvement over its predecessor in several ways. Despite its more sleek build and ergonomic design, the new G pro is actually stronger than the older model. This sturdy portable vaporizer also features a new colorful LED screen and a ceramic heating chamber. 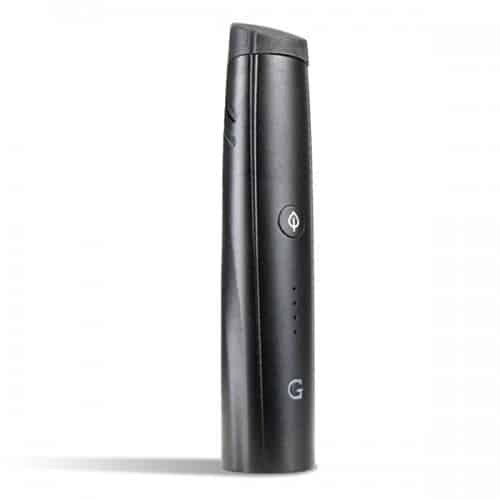 Manufactured by Grenco Science, the G Pen Pro vaporizer uses convection heating to deliver clean, smooth, tasty vapor that is virtually free of unpleasant tastes. This unit has three different presets, and each one is optimized for popular strains of dry herb. The new colorful LED display allows you to toggle through each of the three temperature presets with the touch of a single button. A staple feature of Grenco Science portable vaporizers is a large heating chamber for your dry herb. The same holds true with the G Pen Pro vape, which will enable you to have lengthier sessions with less of a need to reload. Just like its other sibling vape the G Pen elite, the G Pen pro dry herb vape is made with high quality grade materials to provide advanced heating. 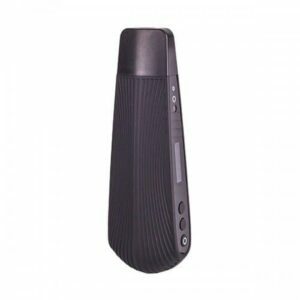 Coupling these with high functionality offers users a satisfying and discreet vaping experience. Its modest price tag makes the G Pen Pro one of the most affordable portable vaporizers on the market today, without sacrificing vape quality and performance. The G Pen Pro Vape comes with a 1 year warranty coverage. Read our Product Review on this unit here. The new G Pen Pro 2017 edition out-classes its previous version, while actually managing to be even more convenient and compact. The new G Pen Pro’s mouthpiece is rubberized and better shaped to fit in your pocket on the go while also improving airflow. The sturdy yet smooth exterior fit comfortably in the palm of your hand and the one button control can’t get any easier. All of these features make the G Pen Pro 2017 perfect for those with an active lifestyle who enjoy a quick vape session away from home. Even though the device fits comfortably in any pocket, it is ideal for those who vape on the go and are always on their feet. Take it with you on a modest hike or bike ride, or anywhere you’d like. The larger than normal heating chamber cuts down on reloads, which makes your vaping experience even more convenient. The G Pen pro vape is the perfect dry herb companion to enjoy a few clean, discreet, delicious tokes just about anywhere. Grenco Science is a trusted manufacturer that delivers consistent quality in their vapes. Similar to the rest of Grenco Science portable vaporizers, the G Pen Pro comes with a high quality battery and heating method. The G Pen Pro heats up quickly and efficiently, allowing you to toke within short windows of opportunity with excellent vapor quality. The intuitive battery has an automatic shutoff setting that powers down the device after three minutes of idle use. This feature preserves battery life and prevents you from wasting your precious dry herb. When completely charged, an LED light glows green on the G Pen Pro. When the device needs charge, it flashes red four times. The vape charges up rapidly and holds a charge exceptionally throughout your day. The G Pen Pro unit was designed with the professional with a busy schedule and hectic lifestyle in mind. Setting itself from apart from other portable vaporizers, the G Pen Pro Vaporizer boasts a rare convection heating method. This system sends hot air through the chamber instead of combusting dry herb directly against the hot surface. This keeps your hits smooth, clean and free of carcinogens and burnt flavor. In addition to smoother hits, the heated air makes contact with more surface air than a conduction chamber; producing milky vape pulls that are free from harshness. The new and improved ceramic chamber uses low conductivity, preventing the unit from getting hot and burning your botanicals. Hot air is instead strategically piped through holes at the base of the ceramic chamber, vaporizing your dry herb below the combustion point. The heating chamber on the G Pen Pro portable herbal vaporizer is about 0.5 grams, which is significantly greater than the majority of its competitors. The sleek feel, large bowl and the advanced heating system set the G Pen Pro apart – making it the ultimate vape for dry herb lovers with busy schedules. This device has three simple yet optimal heat settings for vaping your dry herb: low, medium & high. Each setting has its own color code that is displayed by the LED light and can be changed with one press of the only button. These settings deliver versatile vaping experiences. The low setting will give you quick, flavor-intensive hits, and the high setting will deliver a big, robust rip that is thick and milky. The medium setting is exactly as it sounds – a bit mild, but still a nice and robust mid-sized drag. IS THE G PEN PRO FOR YOU? As you can see, the G Pen Pro is perfect for dry herb fans who are active and always on their feet. 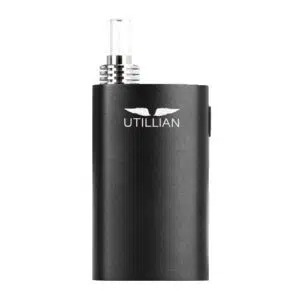 This impressive portable vaporizer gives you many of the same characteristics and performance of more expensive models, at a fraction of the cost. Grenco Science packs all the tools you need to enjoy delicious vapor on the go – right out of the box. Each G Pen Pro unit comes with a wallet grinder card and USB charger. This vape always gives you a discreet and enjoyable experience. Its slick design, powerful heating system and ceramic chamber coupled with no brainer functionality make the G Pen Pro a great investment. Size: 2.25" x 2.25" x 6.5"